Hello everyone! I figured that this blog would be a good way to connect and share my experiences with anyone who would like to see what I've done so far and what I plan on doing next. On this site, you can browse through the projects and pictures from my month- long stay in Losho, Kenya in July 2010, my amazing two month trip with Engineering World Health, my last venture to Tanzania this past summer, and see what my college life has been like thus far down in New Orleans. 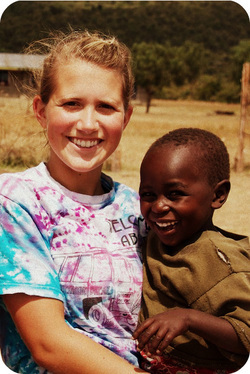 I will be continuously blogging and updating what I've been doing as far as school and trips to Africa go. I'm also glad I can continue to share my experiences while I'm actually over there so that's exciting. I look forward to reading back on my blog in a few years and be able to flash back to tons of wonderful memories.